Ben Nye assembles the most practical theatrical make up kits available! Products are intensely pigmented, easy to blend and provide exceptional design options. With tools for enhancing natural beauty as well as creating special effects, this kit combines quality with value! 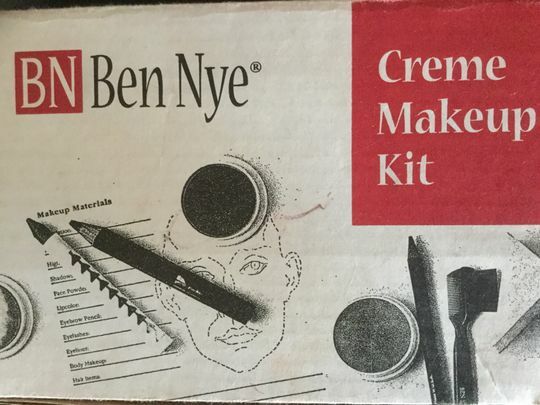 Each Ben Nye Theatrical Creme Makeup Kit includes 5 cream bases, with 3 of those as foundation shades based on your selection. Sold only in the contiguous USA. Ships only via Ground service; cannot be shipped Priority or Express. Ordering this kit will cause your ENTIRE package to ship via Ground, regardless of your chosen and paid for shipping method. If you are ordering this product outside of the contiguous USA, the item will be removed from your order. Haven H. Reviewed by Haven H.
Bianca N. Reviewed by Bianca N.
I am starting to work with special effects and this set was awesome to start building my kit. The products are exactly what you need as you enter the world of special effects. I would highly recommend this kit for every MUA. Joanna F. Reviewed by Joanna F.
This product is excellent, with multiple skin tone cremes and a variety of brushes that you need. You can create bruising, glamourous and fantasy looks. I highly recommend this product. Marnie D. Reviewed by Marnie D.
Great product, good price and arrive quickly and safely. I would recommend Camera Ready Cosmetics.